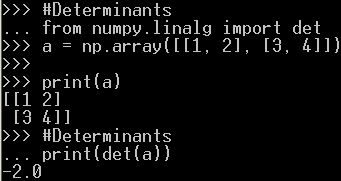 + Try this first: pip install numpy if it is not successfull then follow steps below. 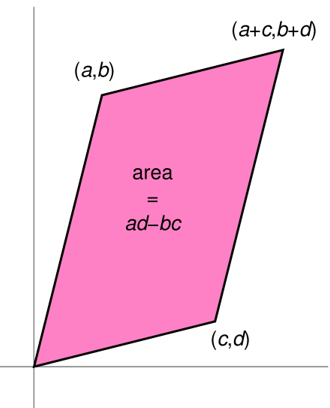 - Rectangular of vectors in rows and columns. Defined as rows x columns (R x C = 3x3). 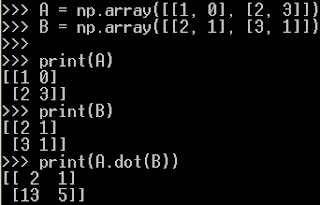 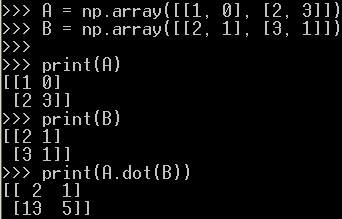 - In order to express the matrix above, we will use array in numpy. This will change row to col and col to row. 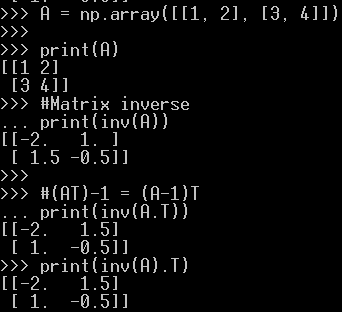 A is a MxN matrix and B is a RxS matrix. 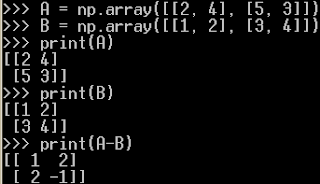 AxB is possible if N=R (Number of columns in A = Number of rows in B). 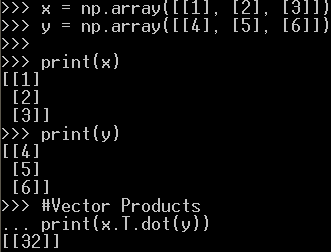 The result will be an MxS matrix. 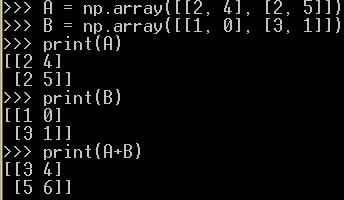 It is similar to the number 1 in number multiplication (e.g: 1x2 = 2). 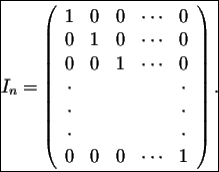 It is called Identity matrix. 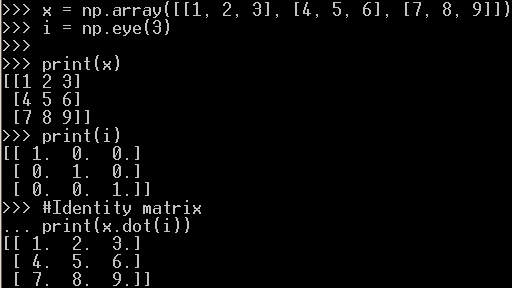 - We use eye(size) function to create identity matrix. 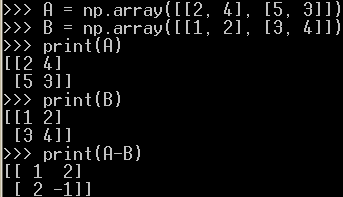 - Determinants can only be found for square matrices.